Yes it's true! I'm not a mall shopper. You see, I rarely get to go to the mall and the only time I seriously would make the effort to go is when I needed something. Often times, my sister would say I shop like a man because I can manage to be and in out of a store in 15 minutes flat. I shop with a detailed list in mind as I just dislike wandering aimlessly for hours on end. Guess, it's the OC side of me. Time is Gold, after all. However, if there's something that I do enjoy, this is to online shop. With the fast paced technology that we get wherein everything we need can easily be attained in just a few clicks, I really do appreciate the efficiency of getting something done without even leaving the house. Through the years, I've managed to shop for my best friend C's wedding gift and to send it to her the next day, even bought toys and clothes for her 1 year old baby H, purchase dozens of airline tickets, bough passes to concerts and musicals and even groupon vouchers too! 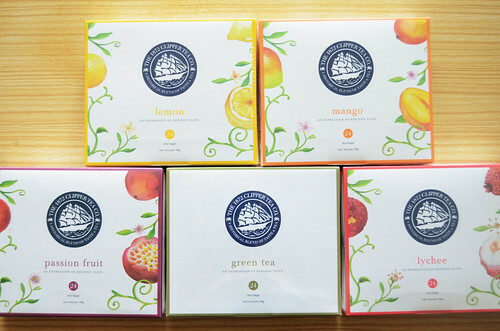 So, when I found out that my favorite tea brand here in Singapore, The 1872 Clipper Tea, has recently launched their online store, I was just so excited to check it out! The best part was being given some shopping credits to use for my first purchase. How cool is that?! Immediately, I went straight to their online store by logging in at http://www.clippertea.com.sg/shop. The website was so easy to navigate around! Each product is categorized by type: Tea Flavours, Organics Collection, Teaware, Collections and soon, even Confectioneries. I clicked on Tea Flavours category to check out what other flavours I can buy and try apart from the ones that I had already. The Tropics flavours (S$11/box) caught my eye and I decided to get one box of each! This is because I wanted to try the Mango while Paul wanted to try the Lychee. Since we couldn't decide which one to get, we might as well try them all! They also have a second tab of additional information that lists the ingredients and preparation procedure for each blend. I love how 1872 Clipper Tea offers an experience which is beyond just pushing the product. It allows customers to try the different tea blends and to be tea connoisseurs in their own right. After adding them all to the cart, I quickly filled in my information and voila! I finally got the confirmation telling me when to expect my order to be delivered. It was very straight to the point, organized and clear. So there you go, I've managed to complete my tea shopping in less than 30 minutes. 2 days after that, we got our package and are currently enjoying the Lychee Tea which I must say was very good and light. The service was superb and the whole shopping process was totally hassle-free. I can't wait to shop some more, perhaps next time to check out the Teaware category. 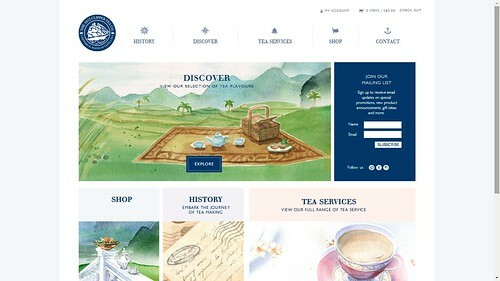 Visit The 1872 Clipper Tea Online Store at http://www.clippertea.com.sg/store. Happy Shopping!